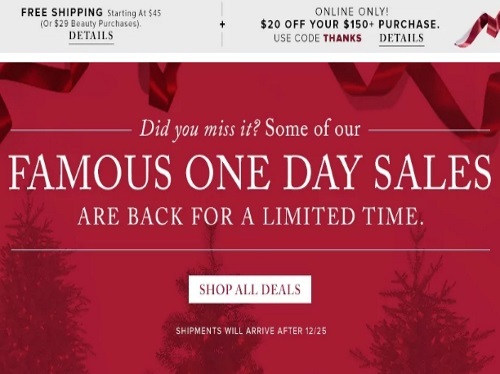 Hudson's Bay One Day Sales are back for a limited time! Plus today they are offering a special promo code for $20 off your $150 purchase! Enter the promo code THANKS at checkout. Offer ends Saturday, December 24 at 11:59pm ET.